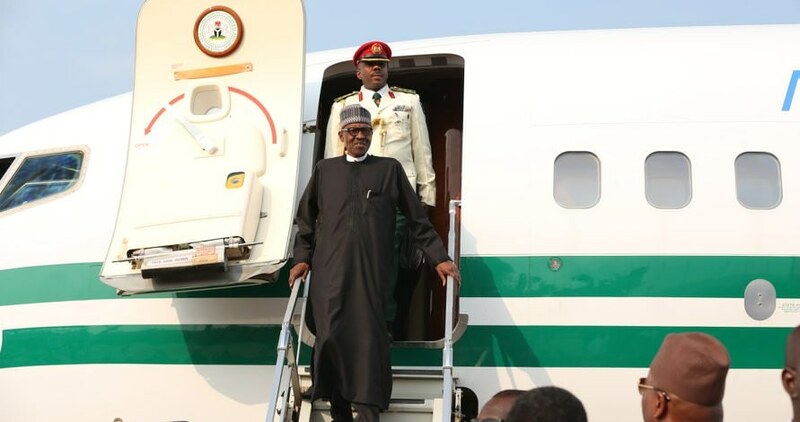 President Muhammadu Buhari has returned to Abuja from Poland, where he participated in the opening of the United Nations Climate Change Conference in Katowice. While in Poland, the President delivered his national address at the 12-day meeting of COP24, and met with several world leaders . He also visited the impressive Nigerian pavilion at the climate summit. President Buhari on Tuesday visited the Auschwitz-Birkenau Memorial and Museum, in Oświęcim, Poland where he paid tribute to Holocaust victims. Before leaving the Museum, which included the Nazi concentration camps Auschwitz I and Auschwitz II-Birkenau, Buhari fielded questions from State House Correspondents traveling with him. The president described those fanning embers of discord in Nigeria as ‘illiterates and ignorant’. President Buhari held bilateral meeting with Swiss President Alain Berset, President of Poland, Andrzej Duda and the Prime Minister, Mateusz Morawiecki as well as his Austrian counterpart, Alexander Van der Bellen. The Nigerian leader also met with Dutch Prime Minister Mark Rutte and both leaders followed up on their past discussions, during their last meeting in The Hague, Netherlands, in July, which centred on trade, investments and partnerships in agriculture.